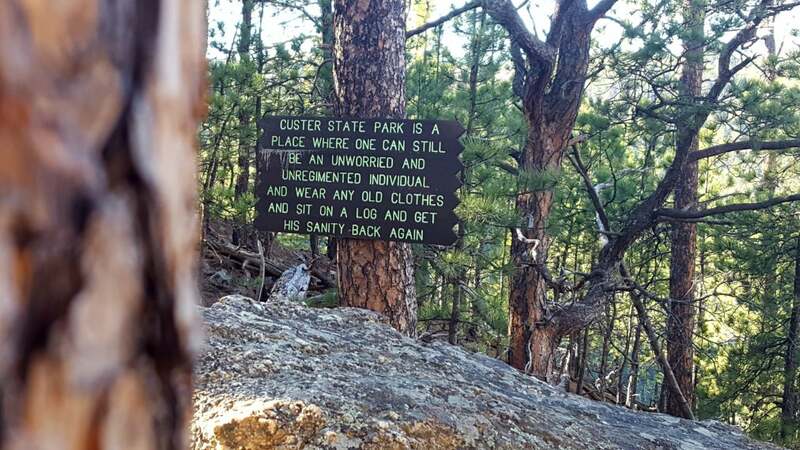 On a hiking trail in South Dakota’s Black Hills, tucked among ponderosa pine trees and craggy granite cliffs, a simple wooden sign reads: “Custer State Park is a place where one can still be an unworried and unregimented individual and wear any old clothes and sit on a log and get his sanity back again.” This sentiment is what inevitably draws this park into the hearts of so many visitors, and Custer State Park lodging provides a way to hold onto that feeling for a bit longer. 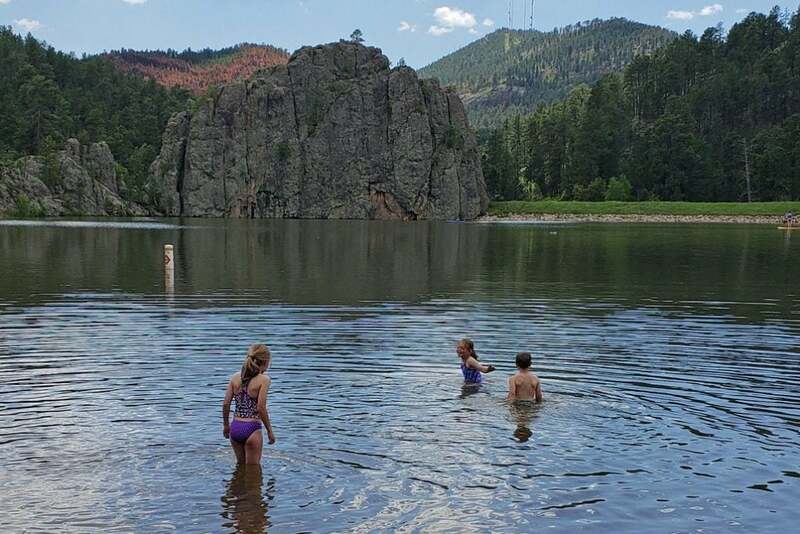 Custer State Park, South Dakota’s first and largest state park, offers a fine balance of the state’s best outdoor recreation, as well as luxurious options for resting your head and filling your stomach. For foodie trekkers, Custer State Park lodging has you covered for the perfect treat in between adventures. 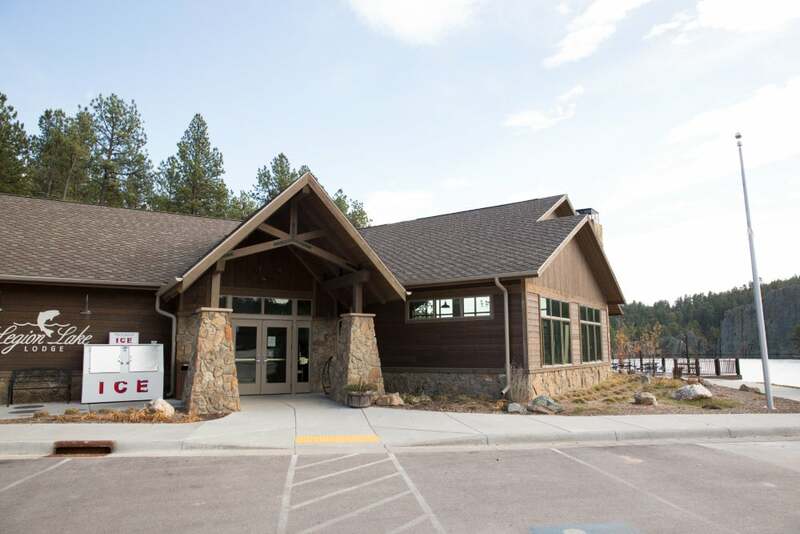 Within the park’s 71,000-acre wildlife preserve, Custer State Park lodging offers several options for where you can unlace your hiking boots, sit by the fire, reflect on the day’s adventures, and enjoy a warm meal. 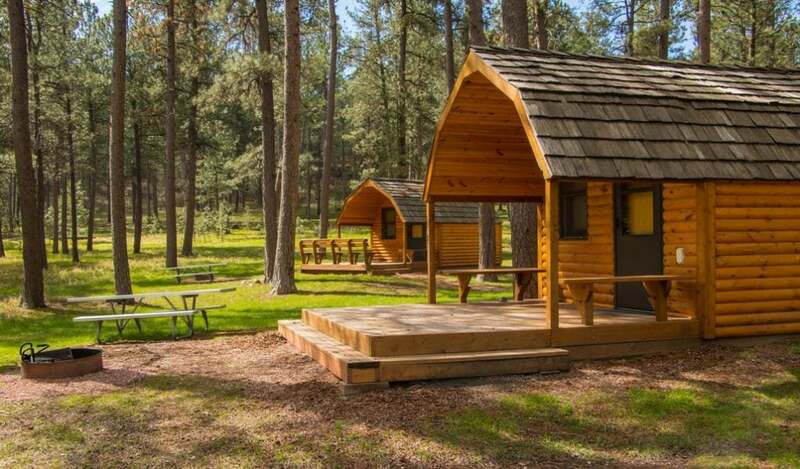 In total, Custer State Park is home to five lodges, over a dozen specialty cabins, nine campgrounds, and one horse camp. Within these options are four historic lodges we think you will love: the State Game Lodge, Blue Bell Lodge, Legion Lake Lodge, and Sylvan Lake Lodge. These historic lodges each have their own flair and flavor. They are excellent stops for both visitors spending the night, as well as those simply passing through. Tired, hungry campers will love these lodges, as each offer unique dining options. Staying at Custer State Park lodging is a perfect excuse to ditch the camp stove for a night and treat yourself to a delicious meal. However, the flowery language ultimately worked. President Coolidge arrived with his wife, Grace, via train. Their stay was originally planned for just three weeks, but not long after arriving, the President decided to extend it to three months. Visitors sleeping at the lodge can stay in the exact rooms where President Coolidge and his family once stayed. 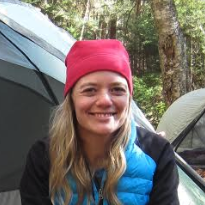 Image from The Dyrt camper Ashley Y. 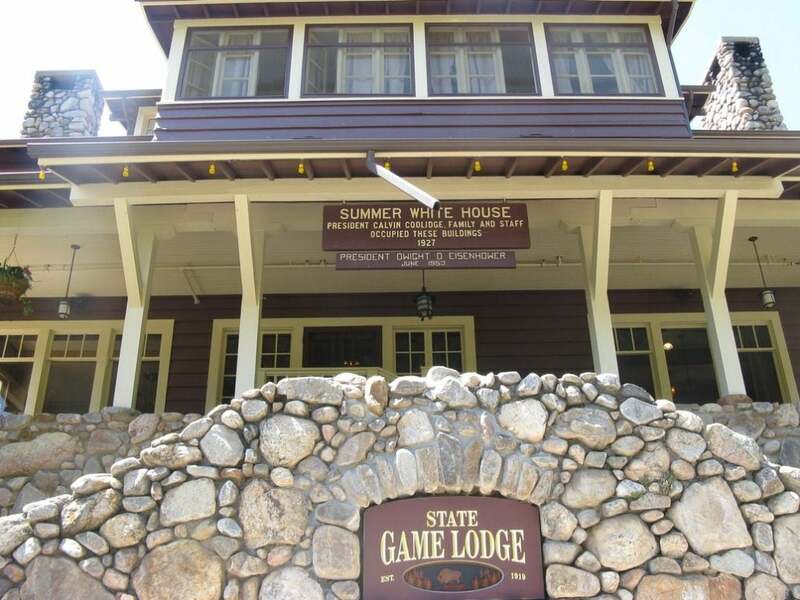 The State Game Lodge is located at 13389 US-16A in Custer, South Dakota along the southeastern stretch of Peter Norbeck Scenic Byway, close to the park’s Wildlife Loop. It’s the starting point for any visitors hopping on a Buffalo Safari Jeep Tour. The lodge’s restaurant is open April through mid-October for breakfast, lunch, and dinner. 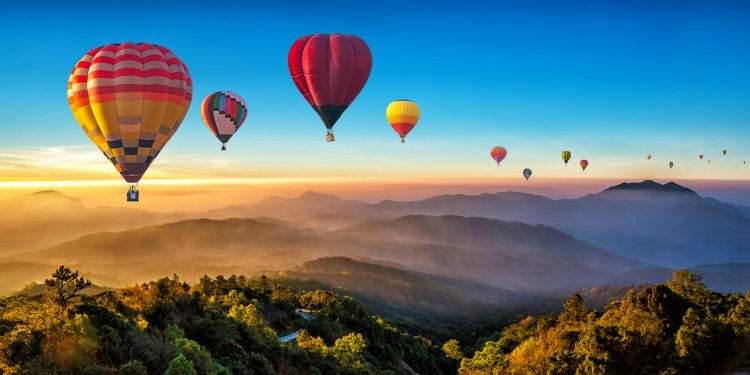 It also hosts an annual Sunday Easter brunch and Harvest Feast Wine Dinners on Fridays in October. Reservations are recommended. In addition, the lodge has a cozy lounge area where guests can grab drinks until 11pm. Dining at the State Game Lodge is best for an elegant night out. Shower up after your day’s activities, throw on that one just-in-case fancy shirt you packed, and head over for a relaxing meal with great service. Grab a bottle of wine for the table, and try the restaurant’s seared rainbow trout with wild rice. Image from The Dyrt camper Shari G.
If you’re looking for Custer State Park lodging that comes with a warm welcome and a “y’all take care now” finish, look no further than Blue Bell Lodge. 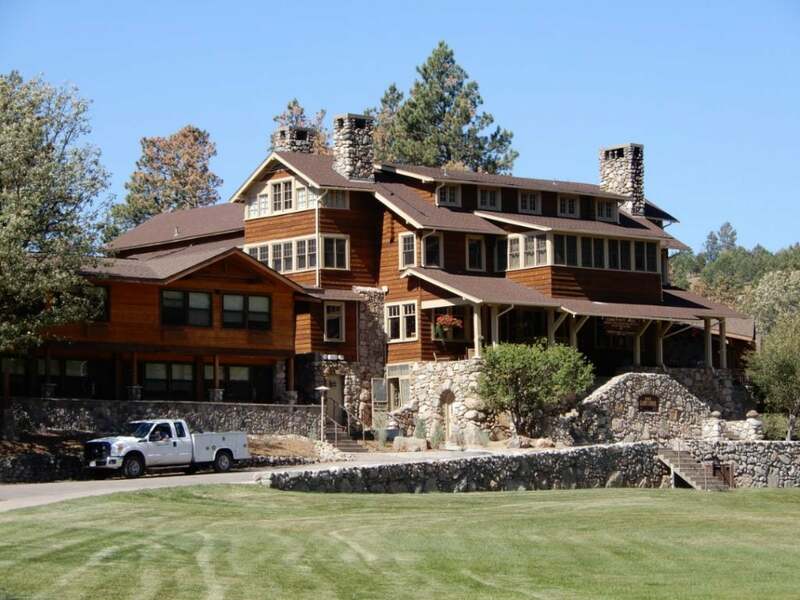 The lodge was built in the late 1920s by pioneer C.L. Jensen, also an executive of the Bell Telephone Company. His son, Governor Leslie Jensen, sold the structure to the park in 1935. This lodging area is designed to give a feel for how the cowboys of the old days lived, but with a little more comfort. It includes 29 rustic, but modernized cabins tucked into the woods around the main log-cabin-style lodge. Each cabin comes with an outdoor fire pit, and many come with stone fireplaces. There’s also a quaint general store nearby. Visitors to Blue Bell Lodge can take a trail ride through the park leaving from the Blue Bell stables, or sign-up for an all-day horseback ride. The hallmark of the Blue Bell Lodge, however, is its hayride and chuckwagon feast. Leaving from the lodge, this 45-minute, old-fashioned hayride travels a scenic route through the park’s backroads to a canyon meadow. Once at the destination, guests enjoy a big, western cookout with country and folk music and other live entertainment. 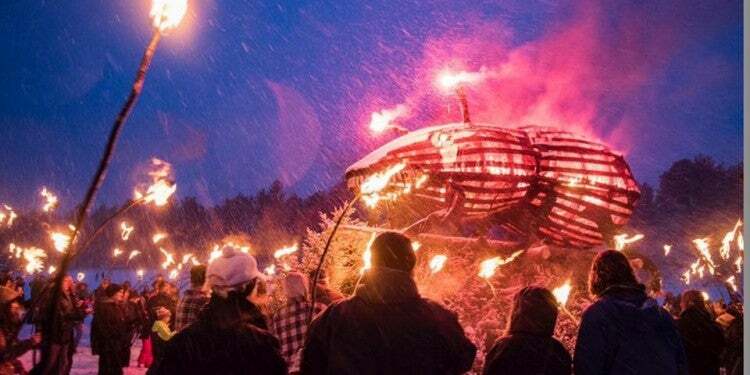 It’s a perfect summer vacation activity for families. 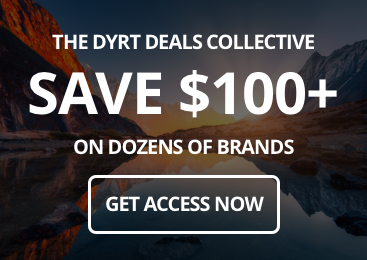 All participants leave with a souvenir cowboy hat and bandana. Reservations are required. Blue Bell Lodge is located at 25453 US-87 in Custer, South Dakota along the park’s Wildlife Loop and just six miles north of an entrance to Wind Cave National Park. 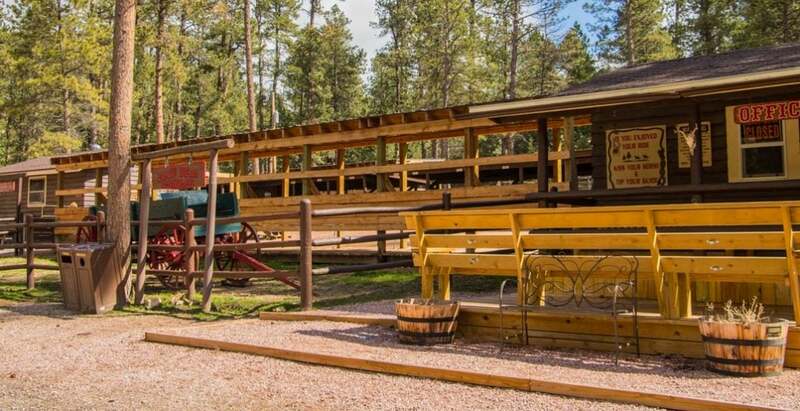 If you don’t have time for the chuckwagon feast, you’ll still be able to find a warm, down-home meal at the lodge’s restaurant. It is open from April through mid-October for breakfast, lunch, dinner, and dessert. The restaurant includes a lounge area, as well as an outdoor patio overlooking French Creek. In addition to a good country breakfast, it’s best for a dinner of comfort food when autumn’s evening chill starts to kick in. Stop by and order yourself a thick, creamy stout. Next, try the rabbit and rattlesnake sausage appetizer. The baked triple mac and cheese or the buffalo meatloaf make for a cozy entree. If you happen to have any room left in your belly, an apple crisp or a cast iron skillet brownie should be in your future. If you want to spend your vacation as a lake bum, Legion Lake Lodge offers the casual lakeside ambiance you’re after. The original structures in this area were built after several American Legion Posts leased the area around Galena Creek in 1913. In 1932, the Civilian Conservation Corps built a dam on the creek to form what is today Legion Lake. The main house on the land was later sold to the state and added to the park. In 2015, the original structure was torn down and a modernized version was erected, preserving the original fireplace. The modernized lodge increased lakeview dining room and patio seating. Today, visitors can fish and swim at Legion Lake. Kayak, canoe, stand-up paddle board, and paddle boat rentals are also available at the lodge for those looking for an afternoon on the water. The lake is close to the Centennial and Badger Clark Historic trails, and also has a one-mile stroll circling the water. 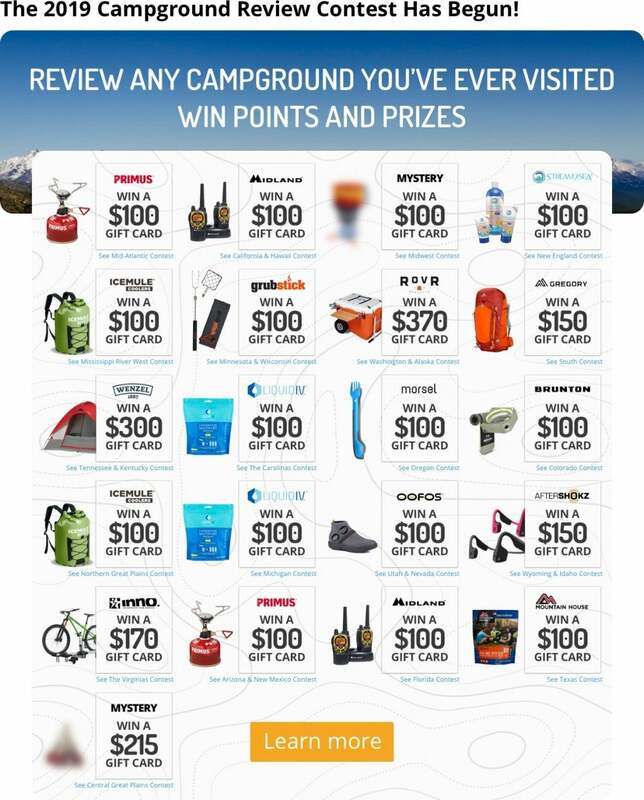 A general store is available for fishing licenses, park passes, and other supplies. 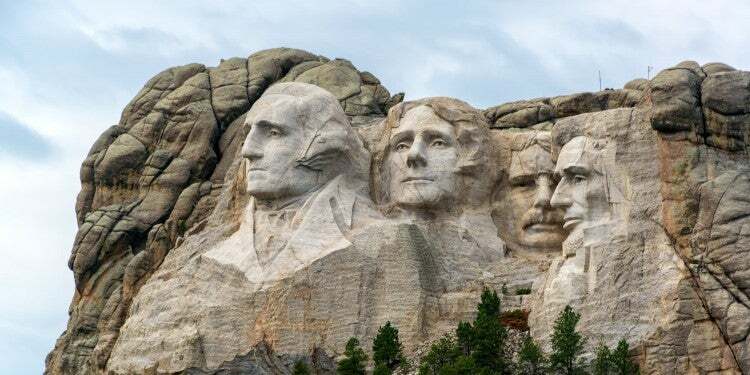 Image from The Dyrt camper Angie S.
Legion Lake Lodge is located at 12967 US-16A in Custer, South Dakota along the southern stretch of Peter Norbeck Scenic Byway, close to Mt. Coolidge and Badger Hole. The lodge’s restaurant is open from April until early October for breakfast, lunch, dinner, and ice cream. Full service is offered both inside and on the deck, with floor-to-ceiling windows allowing for beautiful views of the lake anywhere you sit. If swooning over people’s pets is a favorite past-time of yours, you’ll love the Legion Lake Lodge restaurant. It’s the most dog-friendly restaurant in the park. Legion Lake dining is best for those wanting a fast-casual meal so they can get back to their lake lounging as quickly as possible. Stop here in the afternoon for an order of fish and chips, or to split some small plates of pretzel cheese curds and coconut curry shrimp with your friends. Better yet, check out the lodge’s picnic menu for an order you can take back out to the lake or your cabin. 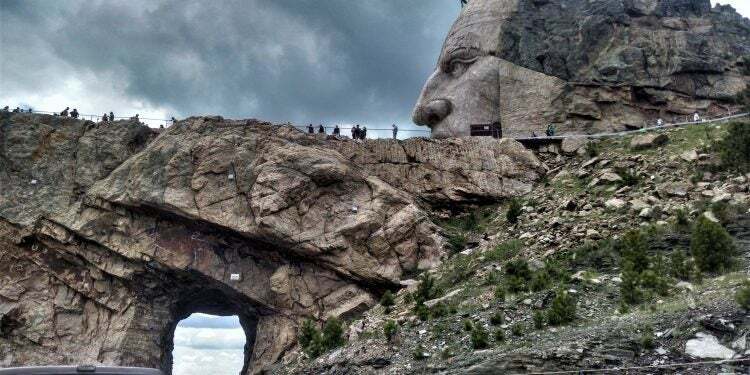 Sylvan Lake Lodge is the perfect stop for visitors taking a scenic drive on Needles Highway or otherwise stopping to see the park’s famously picturesque Sylvan Lake. The lodge was built in 1937 out of stone and thick timber, with a new wing of rooms added in 1991 in the original style. Its location along the pine and spruce hillside forest was was suggested by the building’s architect, Frank Lloyd Wright. 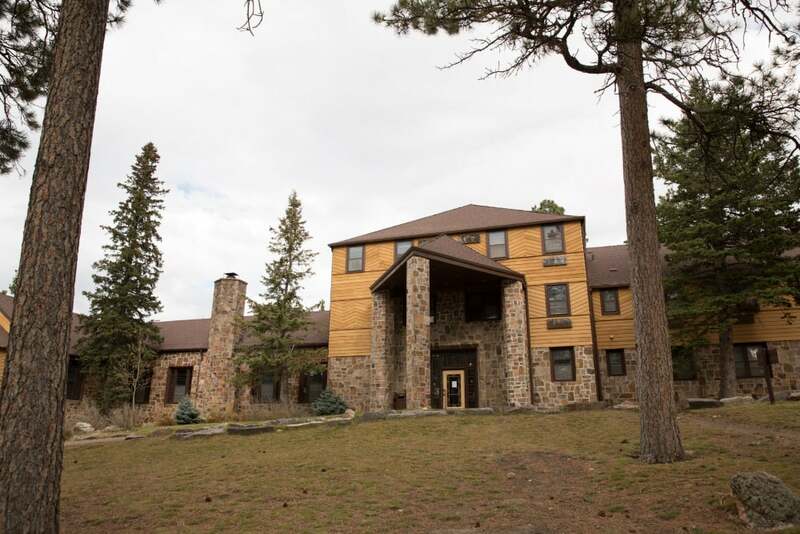 Historically, the lodging was often used by people coming to climb Black Elk Peak (formerly titled Harney Peak), the highest point in the United States east of the Rocky Mountains. 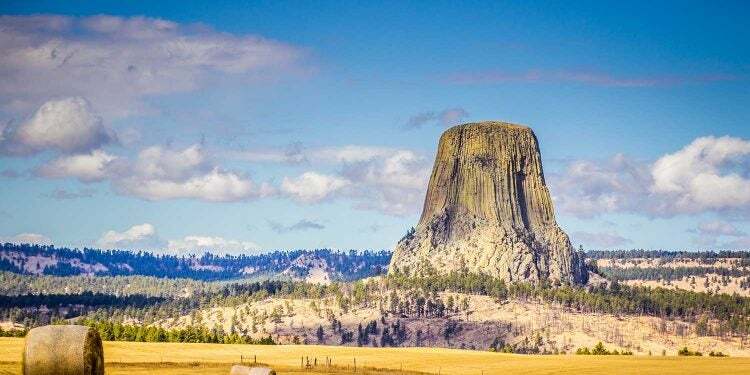 Today, the area still attracts many hikers and rock climbers, with several stunning trails, including the Little Devils Tower and Sunday Gulch trails, leaving from the lake. Visitors can also rent watercraft, go fishing or swimming, and relax on the lakeside lawn. 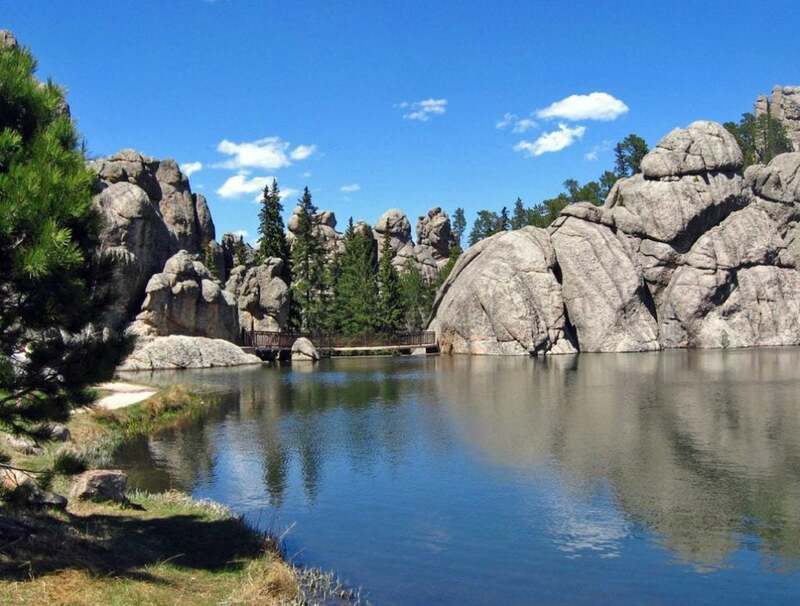 Image from The Dyrt camper Matthew W.
Sylvan Lake Lodge is located at 24572 US-87 in Custer, South Dakota along Needles Highway, southwest of Black Elk Peak. The lodge’s restaurant is open for breakfast, lunch, and dinner from the start of May through the end of October. Reservations are recommended. In addition to the main dining room, the lodge has relaxing outdoor seating on an intricately-built stone veranda, as well as a classic lodge lounge complete with a stone fireplace, impressive wood beams and hardwood floors, and taxidermy forms of nearly every animal in the region. This lodge suits those looking for Custer State Park lodging that’s an elegant scene, but still casual enough for your flannel shirt. Sylvan Lake Lodge’s restaurant is best for grabbing an afternoon cocktail and sitting on the veranda or enjoying a warming nightcap in the lounge. If coming for dinner, try the creamy tomato soup to start and then fill up with the pheasant stew or stuffed pepper.